One of our specialities is creating new windows for modern homes and reproduction windows for historic structures. Modern window wall with custom awning windows along bottom. For new construction and modern homes, we can create custom window sizes of almost any size and configuration. We were among the first companies in WNC to offer custom European tilt and turn windows. In addition, because we create custom casement, double-hung, picture, awning and inward opening windows in any shape and size, we are a favorite resource for architects and designers. 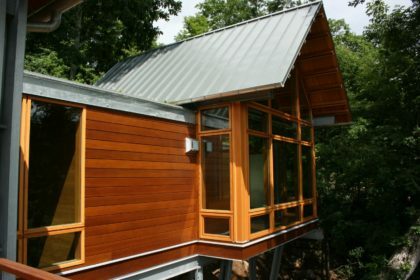 We have had windows tested for LEED and Energy Star® certifications and can advise homeowners on the requirements. For reproduction windows for historic structures, we can exactly duplicate existing materials and designs. In some cases, when the original materials are long-gone, because of decades worth of renovations, we have worked from old photographs. In every case, we have made something with the quality and materials matched to the building’s vintage. We also have experience with some special testing required of historic projects, such as forced entry resistance or hurricane safety requirements, as was the case with the Bodie Island Lighthouse project. We have the ability to make improvements to historic design too, and can make historic designs perform like state of the art windows, by doing things like using double-paned insulated glass. 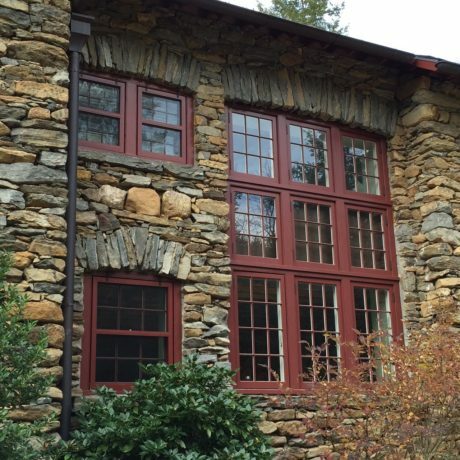 We are Western North Carolina’s custom window experts!